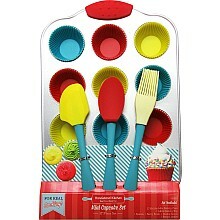 Explore the fun of real baking, with sturdy, easy-to-use components! For ages 4-10 yrs, from Handstand Kitchen. 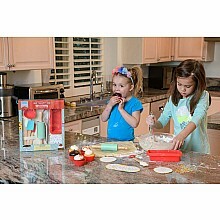 Silicone baking accessories for fun in the kitchen - with recipes included! For ages 5-9 yrs, from Handstand Kitchen. 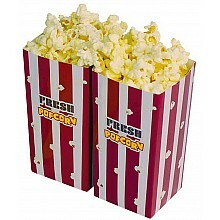 Real popcorn, an easy and healthy snack for all your game nights! For ages 4 yrs-adult, from Handstand Kitchen. Keep the cooking mess off your clothes! For ages 5-9 yrs, from Handstand Kitchen. 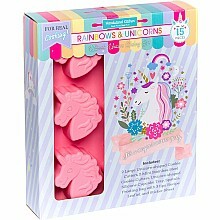 Unicorn shaped cookies? Magical! 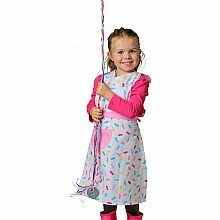 For ages 5-9 yrs, from Handstand Kitchen.